Media coverage of the situation in Catalonia has focused on the struggle for independence. There is no doubt that this has become a bitter confrontation. Those who support independence point out that there had been an agreement under which Catalonia was granted considerable autonomy. Yet when the Catalonian parliament approved progressive legislation, such as a ban on fracking and an end to bull fighting, as well as the levying of taxes targeting the affluent, the Spanish Constitutional Court stepped in to nullify the legislation. It was this decision that fuelled the upsurge in support for independence. Nevertheless, popular opinion remains split on the issue, with a substantial segment of the populace continuing to hold the belief that Catalonia should remain a region within Spain. In this context, the push for independence has reached a stalemate, as Spanish courts continue to arrest and detain independence leaders on the charge of sedition. The lack of unity in popular opinion has prevented the supporters of independence from organizing the mass protests, occupations and general strikes that would be required to force the Spanish government to accept a binding referendum. For now, the broad coalition supporting independence has shifted the focus of its efforts to a defense of democratic rights. Signs calling for the freeing of political prisoners can be seen everywhere in Barcelona. A cluster of tents in the main square has been erected as a symbolic occupation in support of those being held in jail. Whatever one’s position on Catalonian independence, there can be no justification for the dictatorial acts of the Spanish government. Furthermore, the people of Catalonia have the right to determine for themselves whether they should remain a part of Spain or form an independent state. Yet the struggle for independence is only one of several movements that are able to mobilize huge numbers of protestors. These demonstrations are able to bridge the divide arising for the call for independence. We arrived in Barcelona a few days after International Women’s Day, March 8. On that day, a rally brought 500,000 people on to the streets of Barcelona. Men were encouraged to bring their children, thus assuming parental responsibility. Throughout Catalonia, even in small towns, there were similar rallies on March 8. Indeed, International Women’s Day was celebrated by mass rallies in much of Spain. The protests in Barcelona were coordinated by a network of grass-roots community based feminist organizations. While organizing the march and rally, feminist organizations began calling for a one day general strike. Both of the anarchist unions, the CGT and the CNT, were supportive, but the two largest unions, the UGT and the CCOO, were uncooperative. Finally, under pressure from their women members, both of the mainstream unions agreed to support a two-hour general strike on March 8, a considerable victory for grass-roots activists. Political activity takes many forms in Barcelona. During our time there, tens of thousands demonstrated in opposition to a cost of living increase for pensioners that fell far short of the rate of inflation. These protests reflected the enormous popular discontent with the drastic austerity measures imposed by the European Union and the International Monetary Fund in the wake of the global collapse of a decade ago. While the economy sputters, housing prices in Barcelona continue to soar. In part, this has resulted from the many tourists flocking to the city. In addition, neighborhoods in the city center have been gentrified as the very wealthy opt to own an apartment in this ancient and beautiful metropolis. Most of these flats remain unoccupied for much of the year as working people find themselves crammed into less and less space. Community organizations have mobilized to oppose gentrification and anarchist groups have been active in blocking evictions. Signs declaring that Barcelona can not be bought are highly visible in the contested neighborhoods. Barcelona is a city with a revolutionary past and a radical present. It is a place of ferment where new ideas are welcomed and conservative traditions no longer hold sway. From this mix of social movements, a new political party has emerged, the Popular Unity Candidacy (CUP), bringing together activists from a range of political backgrounds, both socialist and anarchist. CUP developed out of grass-roots community organizations that first presented candidates at a municipal level. Since 2012, it has fielded candidates for the Catalonian legislature. At the last election in 2017, the party received 4.5% of the total vote and elected four of its members to the Catalonian parliament. Still, the CUP continues to uphold one of its core values by functioning as a decentralized organization in which a great deal of power remains at the local level. Electoral politics remains a secondary concern to movement building in communities and at the workplace. General policy guidelines for the CUP for Catalonia are set every six months at an assembly in which every active member can vote. Currently, there are two thousand members who are active at the local level, most of whom participate at the assembly level. The CUP is committed to a socialist feminist perspective and it works hard to ensure that women fully participate in the party. As a result, the percentage of women in the party has doubled, increasing from about twenty percent of the total membership to nearly forty percent. Of course, CUP women were active in organizing the International Women’s Day demonstration and pushing for a general strike that day, but the commitment to feminism goes beyond this. There are strict term limits on those holding office and the party makes sure women are fully represented among those authorized to speak to the media. Furthermore, CUP members in the Catalonian parliament are held strictly accountable to the party’s guidelines as determined by a democratic process. CUP views itself as a party committed to a set of principles grounded in the need for a revolutionary transformation of society. For this to be more than rhetoric, the organization needs to formulate a program that pushes the limits of the possible within a global capitalist system. CUP calls for an independent Catalonia that will be independent of the European Union and NATO. It also stands for the repudiation of enormous government debt incurred during the economic collapse of the last decade. CUP would also bring the banks into the public sector without any compensation, pointing to the vast subsidies given the financial sector during the crash. These demands are the start of a transitional program, although one that needs further development before it can provide the basis for a socialist transformation of society. During the last year, the CUP has worked within a parliamentary coalition with the two larger, mainstream pro-independence parties. At the same time, the CUP sought to pursue its own socialist agenda. Obviously there is a tension between these two strategies. Recently the party has openly broken with the independence bloc by refusing to support a joint candidate for president of Catalonia. In doing so, the CUP stated clearly that it would focus its energies on building grass-roots movements for fundamental change and would not limit its efforts to support for a broad coalition demanding the restoration of basic civil liberties. The CUP has its problems but nevertheless it provides an interesting model for anti-authoritarian leftists in the more economically developed countries. It proves that a viable organization of radicals can be built in a post-industrial society. 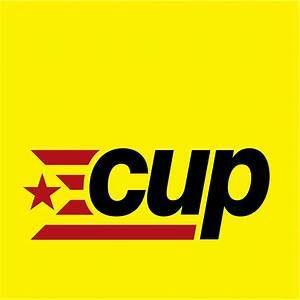 While linking itself to the past, especially the inspiring examples of worker self-management created during the Spanish Civil War, the CUP understands that it needs to take into account the distinctive consciousness of the current period. Socialism can not be built in one country, but rather it requires a revolutionary movement that crosses national boundaries. The CUP needs to strengthen its ties to groups with a similar perspective in Europe and throughout the world. Perhaps this time the radical Left can build an international that is not dominated by one organization, but instead acts as a true federation of organizations committed to a common goal, the revolutionary transformation of capitalist society. and a number of successful SSP public meetings on the subject, including the well-attended fringe meeting at the SNP conference in Glasgow. 3. And that the SSP should aim to develop a positive and constructive relationship with Catalan pro-independence socialists and anti-capitalists, including by extending an invitation to a CUP representative to participate in the SSP’s 2018 conference.